"...the intellect, which has been disciplined to the perfection of its powers, which knows, and thinks while it knows, which has learned to leaven the dense mass of facts and events with the elastic force of reason, such an intellect cannot be partial, cannot be exclusive, cannot be impetuous, cannot be at a loss, cannot but be patient, collected and majestically calm, because it discerns the end in every beginning, the origin in every end, the law in every interruption, the limit in each delay; because it ever knows where it stands, and how its path lies from one point to another . There is no more pressing need in education than the cultivation of the intellect. This is one of the primary reasons behind the growing home study movement. And, as John Henry Newman said, more than 150 years ago, education is a high word , and therefore is not to be confused with other things (such as indoctrination, training, socialization, amusement). But such cultivation is no easy task. Many materials available to the home school educator (and to teachers in general) lack substance. How does one works one's way through the myriad instructional strategies, gimmicks, fads prevalent in the "educational" materials market today? We argue that the first step is to l earn what it means to cultivate the intellect , to engage the intellect in the process of learning. In other words, we believe that educators themselves must develop their own minds if they are to foster the intellectual development of others. 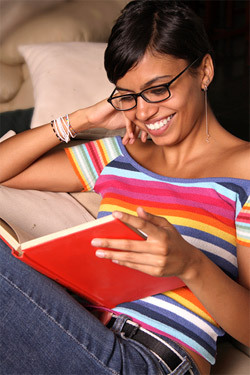 When we have cultivated our own minds, we are then ready to assist our children (students) in this process. When we internalize the basic concepts and principles of critical thinking we understand that critical thinking must be placed at the heart of everything we do in the classroom. This is true because all content is understood by thinking, assessed by thinking, analyzed by thinking, internalized by thinking, modified by thinking, contextualized by thinking. In other words, it is only through thinking that we can understand content, truly and well. Students therefore need the tools of critical thinking to think their way through content. Until they are thinking their own way through content, with discipline and skill, they cannot internalize it. They cannot make it their own. They do not understand it. 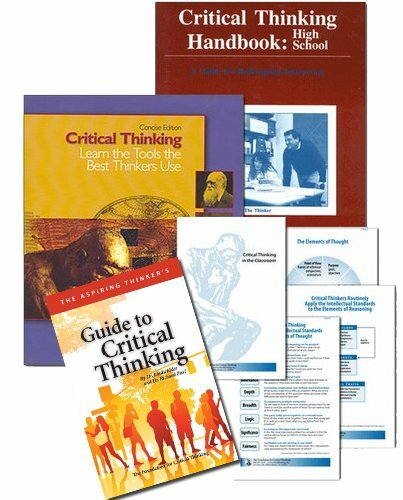 We invite you to explore the resources on this page as a starting point for your understanding of critical thinking. The following complementary articles on our website are among those most relevant to fostering critical thinking in any subject or discipline and at any level. 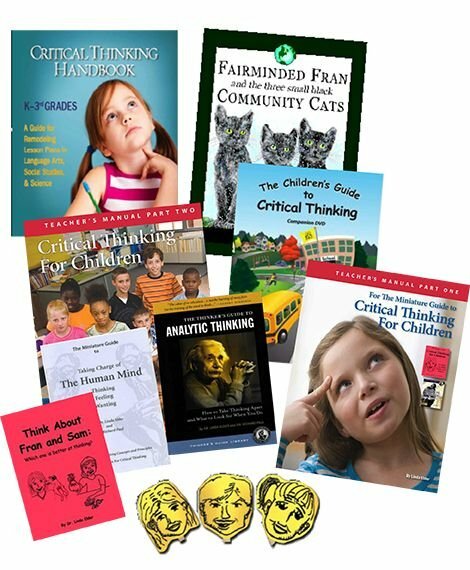 In addition to the complementary resources above, we offer for purchase a Home School Thinker's Guide Set to help you learn the foundations of critical thinking and foster critical thinking in your home study environment. 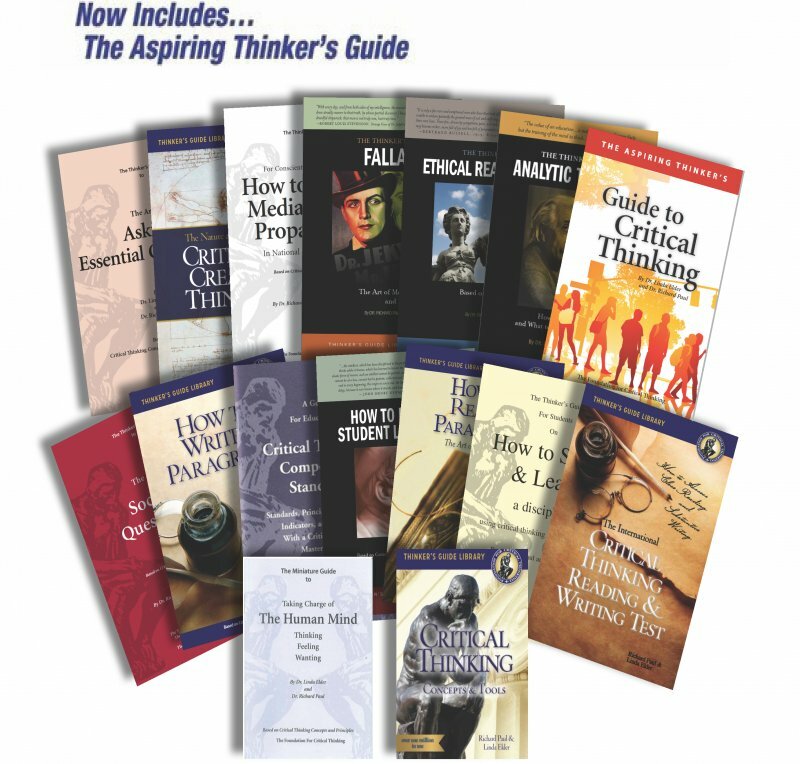 We also offer several bundles that can be used in conjunction with this thinker's guide set. 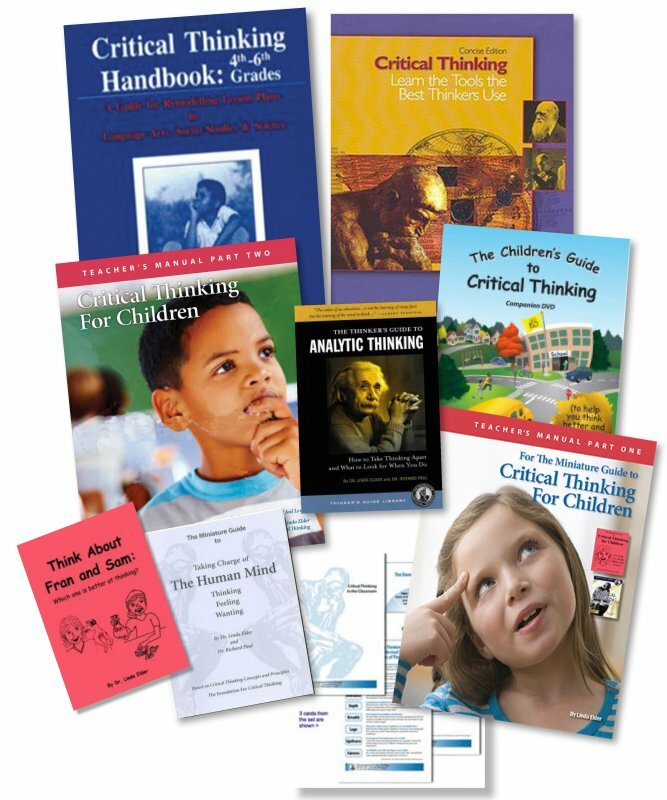 The bundles and thinker's guide contain materials commonly purchased by K-12 institutional and home study teachers at a savings to the individual item cost. We recommend this set for home study parents of Junior High/High School Students. 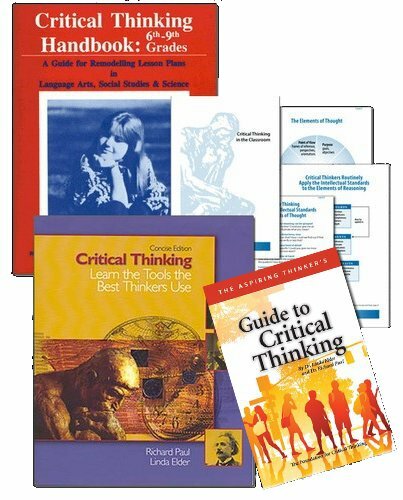 This set includes the thinker’s guides which focus on the foundations of critical thinking. It also includes those guides useful in contextualizing essential critical thinking concepts and principles for classroom instruction. And it contains the thinker’s guides we recommend for student use. 05SET Home Study Thinker’s Guide Set $184.95 Qty. Home School Students at the High School and Jr. High School levels will find the articles at the following links valuable in assisting them in becoming more self-guided and engaged learners. We encourage parent-teachers to read the content with their students and engage in conversations about how students can begin to take command of their learning through disciplining the mind. 10BUND 6-9 Grade Teacher Bundle $89.95 Qty.